Are you looking for IGBT snubber capacitors in India? Closing to 4th decade, Advance Capacitors serving the global industries with IGBT snubber capacitors and many other types. The developments in IGBT (Insulated Gate Bipolar Transistors) over the years primarily focused on increasing reliability and power handling capacity. The transient voltage may exceed blocking voltage resulting IGBT in failure. Hence, propylene capacitor is mounted to minimize the voltage. Load line of a Bipolar switching transistor makes the smooth operation. Reduction of transient voltage and current during ON and OFF conditions. Reduction of junction temperature by removing transient energy from a switching device and dissipating the energy in a resistor. Limiting rate of change of currents and voltages during transient times. Lowering frequency and voltage on a switching device. 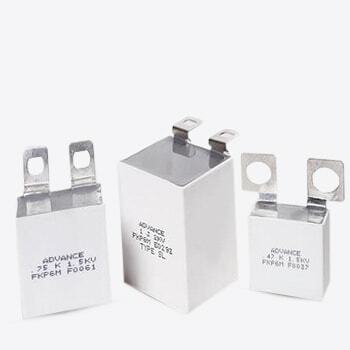 IGBT snubber capacitors in India are embraced by most of the industries, and since the industrial revolution began, the innovation in the core remained uncompromised by the industries.